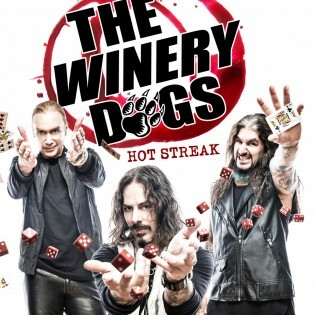 The Winery Dogs, which consists of Richie Kotzen on lead vocals/guitar, Mike Portnoy on drums, and Billy Sheehan on bass, will be releasing their second self-produced studio album, Hot Streak, on October 2, 2015 through Loud & Proud Records via Red (a division of Sony Music Entertainment) and in the rest of the world via earMusic. A double vinyl edition of the new album is also in the works and is due out in early November 2015. A few days ago, The Winery Dogs released the first song off their upcoming new album Hot Streak. The track is called “Oblivion”.